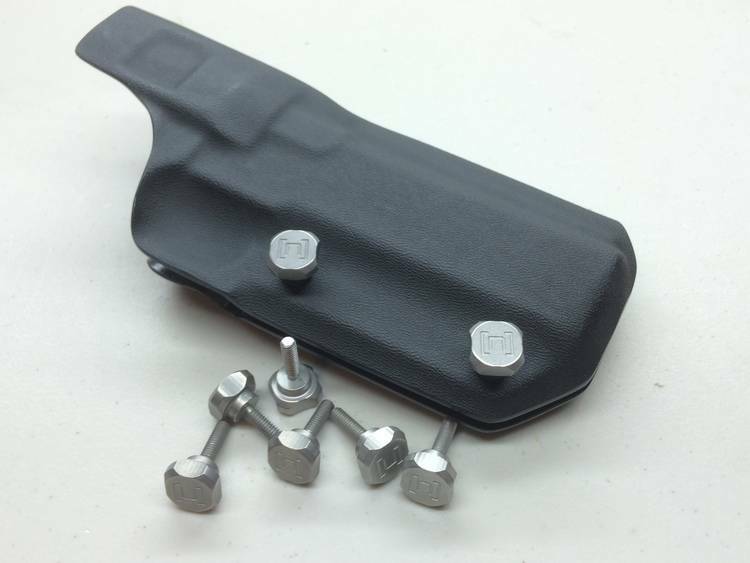 [NERD] listens to the shooter, you asked for an adjustment screw to modify the pressure applied to the Pistol Coffin 3 Gun Holster on the fly and now we have an answer! 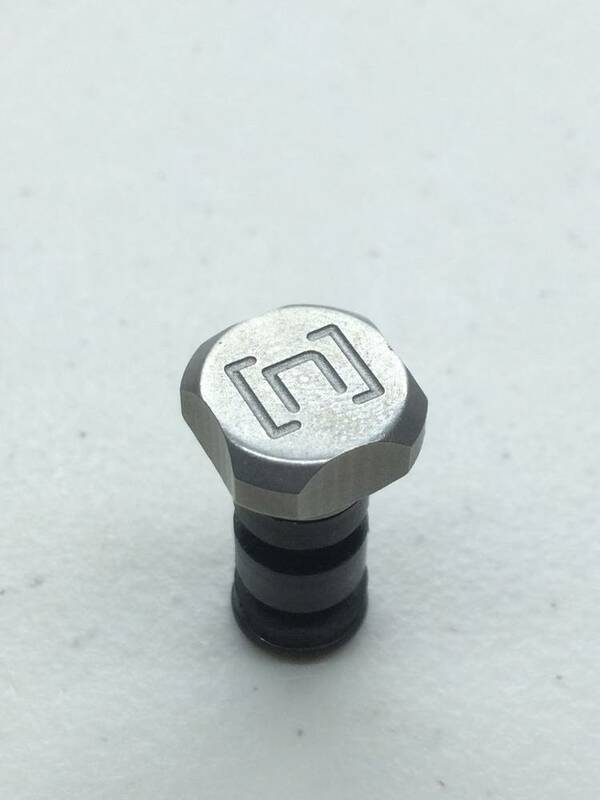 The [NERD] ThumbTack Pistol Coffin Tension Screw is designed to allow you to adjust the tension of your Pistol Coffin on the fly during a match without the need for a screw driver. 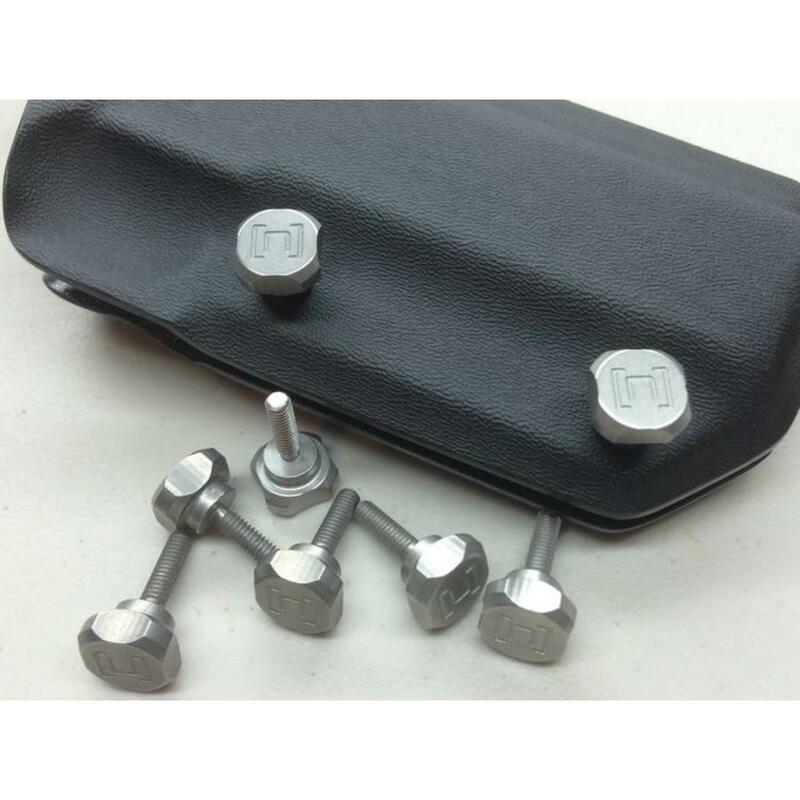 Its a tool-less, instant adjustment, add on part, made of stainless steel and features all hardware needed to upgrade your existing Pistol Coffin Holster Features: -Stainless Steel one piece construction. 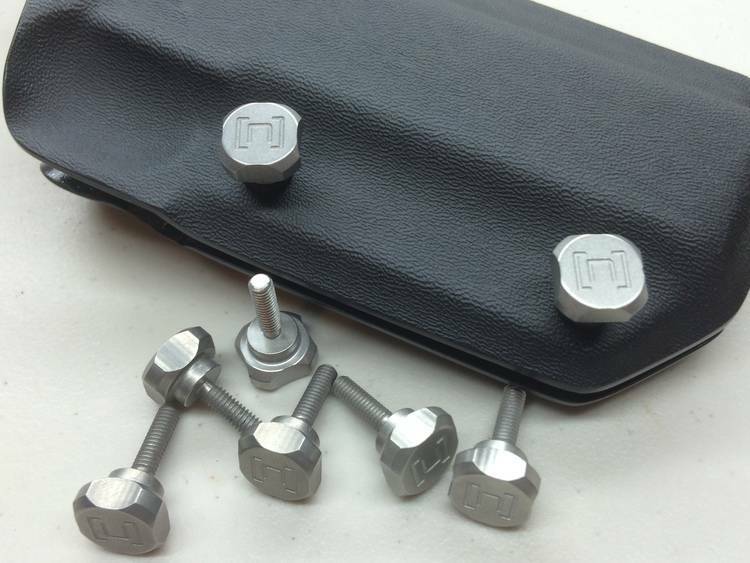 - Course knurled adjustment surface for use with gloves or bare hands -[n] Type logo marking ensures this is a true [NERD] product The ThumbTack will fit on all existing Pistol Coffin Holsters as well as all earlier production models. The ThumbTack comes with all spacers and hardware needed for installation. 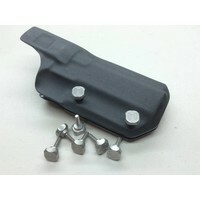 Other holster models will work with the [NERD] ThumbTack as well.